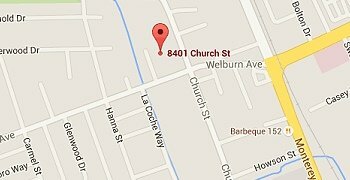 8401 Church St. Gilroy CA 95020. A PIANO OUTLET IN GILROY?? IT’S where ALL the Outlet Stores are! 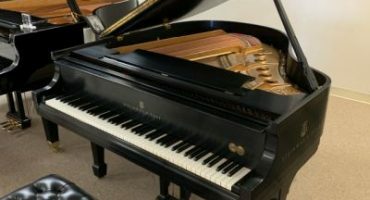 Gilroy Piano Outlet is a family piano store in Santa Clara South County that one can find bargains on previously owned used pianos in good to excellent condition. 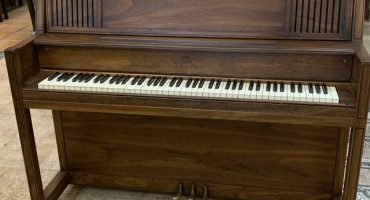 They offer an excellent selection, services and values on used and new pianos in the Santa Clara, San Benito and Monterey Counties. Kawai... winner of over 48 major international awards for excellence. Koichi Kawai, the company founder, was born in Hamamatsu, Japan in 1886. As the son of a wagon maker, Kawai developed an ability to create mechanical devices and inventions when young. 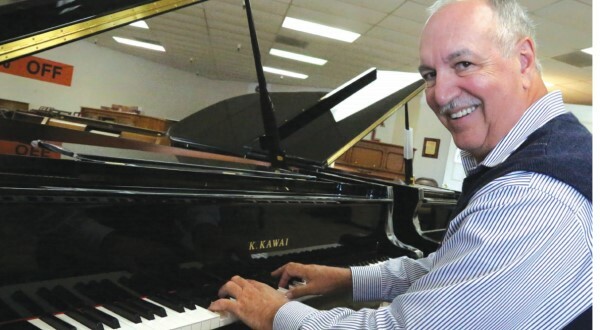 He began working in the piano industry in his early teens, and, while still a young man, became key member of the YAMAHA research and development team that first introduced pianos to his country. He proved to be a gifted inventor who became the first to design and build a complete piano action in Japan. In 1927, Koichi Kawai founded the Kawai Musical Instrument Research Laboratory and has earned a reputation for outstanding quality and workmanship in the crafting of world-class musical instruments. Today, Kawai acoustic and digital pianos are a top choice of pianists, teachers, churches, students and piano enthusiasts around the globe. We invite you to explore our collection of world-renowned instruments. 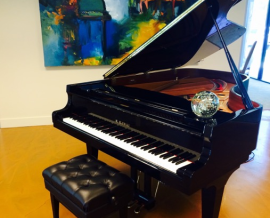 The perfect piano awaits you. A PNOmation II upgrade can be added to any new or older player system and provides the latest advances that technology provides today, like playback control, a more accurate dynamic range as well as an improved quiet play and don’t forget the ability to play the vast library of music that only QRS has. Story & Clark Studio Piano $1499. Fair Market: $3900. Outlet Price: $1499. Brand: Story & Clark Style: Studio Upright Finish: Pecan Serial: 583480 Year: 1981 Notes: Institutional Quality made in America. Nice cabinet for Music Room at home. Excellent starter piano for serious student use. Representing Kawai Pianos from Japan, you can find a great selection of new Grand and Upright Pianos, studio pianos and Digital instruments. Here you can discover the latest uses of technology with Player Pianos systems and Digital Hybrid Pianos. Lesson Programs and Rental instruments are also available at bargain pricing.The staff and ownership is diversified and very experienced having many years in the piano industry. Piano Lessons, recital space, and event rentals area also available. 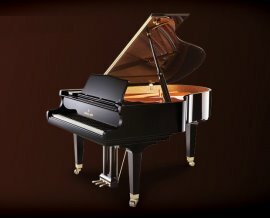 Gilroy Piano Outlet promises to make your piano shopping experience enjoyable, easy and informative. Find the Best selection of New Grand and Vertical pianos. 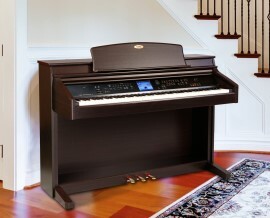 See the latest technology in Digital and Player Pianos. Something for everyone at an affordable price with full warranties. Find a large selection of previously owned pianos at a great savings with Piano Outlet pricing. Digital and Player Pianos have recently made huge advances in technology. 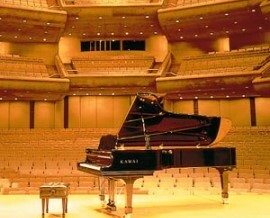 Player systems can be installed on any piano. Come in for a demo and get affordable Outlet Pricing. Whether you want to rent a piano for your home or you need a piano for an event, we have a large selection of pianos available. Click here for more info on our programs. 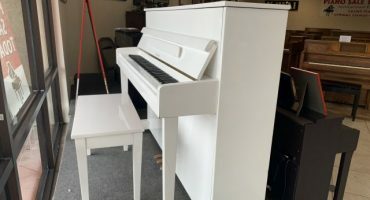 Gilroy Piano Outlet has a new stage for recitals and in addition we have two new lesson rooms and several highly qualified teachers available to teach any level. We have the ability to order just about anything for your piano and education. We have adjustable Artist benches in stock and can order at outlet pricing. Dave has over 40 years of contacts in the industry. His Father and 2 brothers are all piano technicians and he also tuned his way through Boston Conservatory. We provide piano moving services for whatever your needs are. Please let us know how we can help you. We invite you to our store to explore our inventory of fine instruments including the world-renowned Shiguru Kawai grand piano and our German hand made Sauter pianos.